I wasn’t quite sure what I was walking into when I watched this film but now I know it’s a film about a lovable rogue and his uptight robot friend. Why hasn’t this been done before, it’s fantastic. Frank Langella did a great job in this role both with the dementia aspect and the acting with a robot for the majority of the time. The story has many aspects to it but the fact that the robot has no good or bad aspects to its involvement is really interesting. The characters are fun and the yuppies are just so asking for it it’s unbelievable. The dialogue and style is sharp and very funny at parts, with some theology mixed in for good measure. The visuals are really good for the most part with pretty impressive predictions for the tech of the future. I want a robot friend. Set in the near future, Frank, a retired cat burglar, has two grown kids who are concerned he can no longer live alone. They are tempted to place him in a nursing home until Frank’s son chooses a different option: against the old man’s wishes, he buys Frank a walking, talking humanoid robot programmed to improve his physical and mental health. What follows is an often hilarious and somewhat heart-breaking story about finding friends and family in the most unexpected places. The story is great and I love the concept, but who doesn’t? It also has some fascinating ideas around its plot. Unlike most films set in the future or near future with robots this robot isn’t good nore bad, it has no motive of its own but to help Frank. I love the idea that the robot is the only thing he can talk to and have a friendship with essentially becoming family, more so than his children. It’s something I can imagine happening more and more when we look at technologies effect on us. I want a robot friend. The acting is great and whilst most was from frank even the side roles are pretty good, except Liv Tyler just terrible. Love the dialogue and made laugh quite a bit, half from the robot and half from Frank, chemistry is great. The drama comes mainly from Frank’s brilliant performance and his relationship with other characters, but the comedy comes from a mix of funny script and the fun chemistry between the robot and frank. The style is fantastic and I love the voice of the robot, very HAL 9000ish only voiced by Peter Sarsgaard. The person in the robot suit is actually Rachael Ma and there will be a funny picture of her in the slideshow at the end. The visuals are pretty good, granted sometimes the movements are clearly not robotic but for the most part it looks realistic. The futuristic design s of phones an tech was actually created by Justin Ouellette of Tumblr. The best reviews I found would be these “Forget the sci-fi trimmings and sentimental pay-off – this is a gleefully subversive character study of a charming but unapologetic rogue” Damon Wise. “Charming, playful and sly, it makes us believe that a serene automaton and a snappish human being can be best friends forever” Kenneth Turan. “Often moving and deeply personal, Robot & Frank is a rewarding – if often underdeveloped – antidote to the plethora of loud and overblown movies that tackle the theme of technology’s role in our futures” Ben Rawson-Jones. “Enjoyable, well written and superbly acted comedy drama that cleverly blends buddy movies, Sci-Fi flicks and caper pictures into an emotionally engaging film about old age” Matthew Turner. My favourite scene would have to be the part was the robot actually takes the advice of Frank and does the countdown when the police try to access his memories. It’s so damn funny watching them all run away. I was waiting for the robot to use it for the whole film. Awesome review yo. I saw the trailer for this film and knew it was something I had to watch. It had some fabulous performances from the cast and I loved the drama and humour in the film. It was some great stuff! Nice review! How was Sarandon? Does she have much screentime? nice write up Tim, I have heard nothing but good things about this film. Got to get off my duff and check it out. Tim, I am working on a screenplay called Robot and Adam its about me trying to clean all the cat hair out of the gears on my Roomba. That WAS hysterical when the Robot started doing the self destruct sequence, wasn’t it? 😀 Love that part. Glad to see you dig this one, too Tim. 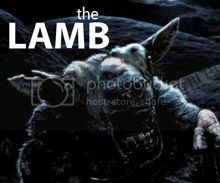 It’s a great flick, isnt it? Just saw it myself last week! Great to hear you enjoyed this one Tim. I thought it was a fantastic little film with a lot of humour and a lot of pathos. It was perfectly balanced and genuine little treat. Nice post man 🙂 I really want to see this one, I’ve been meaning to for quite some time actually. Glad to see that you liked it! I look forward to the sequel: RoboCop and Frank Drebin. OMG that would be the best thing ever! Leslie Nielsen could be CGI like Gollum. I think not! CGI dead person? Good review man. A very small, and sweet movie that touches you in a way you wouldn’t be expecting, mostly thanks to the capable cast at hand. Glad to hear you love this. I saw this at the cinema as the trailer really won me over and I was not disappointed. 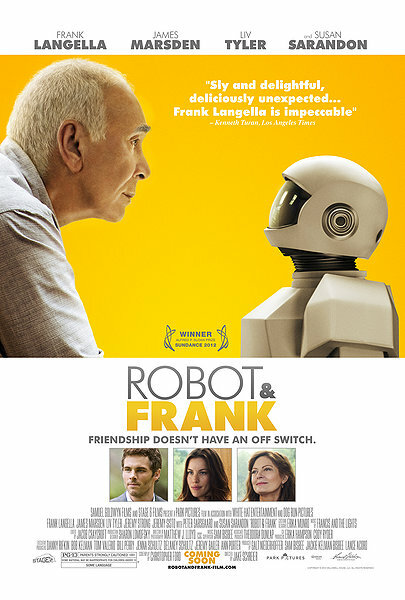 I LOVE the unlikely friendship between Frank and the robot, hence the title is not only intriguing but also spot on. It’s funny and heartwarming and the ending manages to surprise me, it was truly a pleasant surprise all around. Langella and Sarandon have a great chemistry, too. Hmmm, I think the scenes of Frank in his last heist w/ the robot is pretty funny, but I quite like the ending too. Agreed with all you had to say. Just watched this myself and was quite charmed with it.